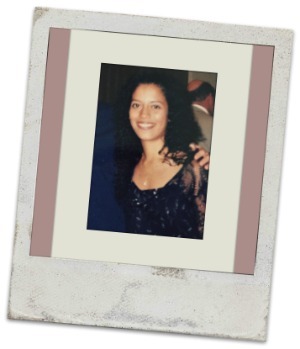 My name is Melina and I am the creator of FindingWorkatHomeJobs.com. In case you're wondering, yes, I truly do work from home and have for the past 12+ years. You may be wondering how it is that I stumbled into working from home; well wonder no more for I am happy to tell you! I always thought it would be fun to be able to work within the home but I was sure there were no real work at home home jobs out there. I had seen all the envelope stuffing, craft assembling, home business opportunities that you have probably seen as well and I was very skeptical. I always had faith that there WERE jobs out there that could be done from home but I simply had no clue where to find them. Shortly after getting pregnant with my first child, I started earnestly searching for a way to work from home with no luck whatsoever. My husband and I needed to have the income that I would help bring in, so I had no choice but to keep working (outside the home). Soon however, I started looking for childcare options and was shocked to see the high cost of childcare would actually cost me half my paycheck! My husband and I thought it over, weighed the pros and cons and ultimately decided that while it would be tight, it would be a wiser decision all around for me to stay at home with our baby. It simply didn't make sense to us for me to be juggling the baby, the household and a full time career only to hand over half of my paycheck anyway. So I stayed home with our baby and I feel it was the best decision we ever made and I have never regretted a second that I spent at home. .....(and another baby in the family) and things were still tight. Heck, they were tighter than ever in our new stage of life. I would have to get a job. The thing was.... I LOVED being a stay at home mom. Raising my two boys was one of the most fun and rewarding thing I had ever done in my life. I wanted to be the one to raise them and witness every milestone. And I wasn't going to give up my time with them without a fight! I'm a firm believer that when you truly seek something with all your heart; you will find it! (Jeremiah 29.11-13) And that's exactly what happened. Everywhere I turned, I started finding information about working from home. I discovered a woman at my church who was actually an interviewer for a company that hired at home workers (Alpine Access) and thanks to her, I was able to get the inside scoop on what this company was really looking for in their future employees. With the internet at my disposal, I began to research work at home jobs endlessly. I finally found the perfect company for me (at the time) and I applied and was accepted immediately. The pay wasn't great but the schedule was ridiculously flexible which was very important to me when dealing with nap times and play dates and all the other things that moms can deal with while raising infants and toddlers. Over time, I switched to better paying companies with interesting work and I was able to spend more time working as my children grew and started going to school, which left me more time to work while they were at school. I went from taking orders for infomercials to working for the U.S. Department of Transportation to working in Finance, Retail corporate customer service , Travel reservations, Event ticketing and Back Office Support. It pays the bills but the best part is, I get to choose my own schedule, avoid paying the expenses of gas and a work wardrobe and I don't have to worry about childcare when my kids are home on their summer or winter vacations or when they are sick. I consider myself so blessed; however I would have loved it if someone would have compiled an easy way to find a list of all the work at home companies that they knew of for my benefit. It certainly would have saved me hours and hours of research!. And so I put this site together, hoping that it would help friends, family and perhaps a few others who were interested in these types of jobs. By the way, if you are wondering how I built this site, I used a company named Site Build It , it was perfect for a busy mom like me. So, that's me in a nutshell.. feel free to visit my contact me page if you ever have any questions, comments or just want to say hi! I wish you great luck and success in all your endeavors!